Theories of extinctions of dinosaurs still remains competitive even though its central mystery appears to have been solved. Everyone can agree that the dinosaurs are extinct however the new fossils and data thats gathered everyday lies subject to new thoughts. Theories regarding dinosaurs intelligence and behavior have been changing rapidly and even held beliefs like dinosaurs are cold blooded are being challenged. It seems as though anything that has been proven is subject to defiance and a new idea is proposed. Sooo…. Easy right? A asteroid. Well it is not that simple, although we were taught this not many people actually know the logistics. In hindsight, how could one asteroid wipe out all of the dinosaurs? That is ridiculous. It was not until the late 1900s did we find the evidence we can now feel confident about, in reviewing things from over 60 million years ago. Knowing an asteroid was responsible for the extinction for almost all dinosaurs is too vague, the responsibility of the effects is what killed most of them off. The fact of the matter is this, the comet or asteroid that hit the earth ended up uplifting so much dust it practically covered the sun completely and made the world go into a deep freeze. This was concluded by the discovery of a massive impact crater off the coast of Mexico that was in the same vicinity of time as the extinction. However there are many theories to what else helped kill off the dinosaurs. I thought it was due to volcanoes? 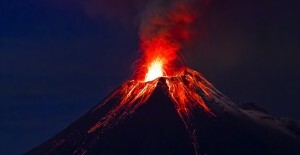 On a second global scale catastrophe also came the conclusion of the impact of volcanoes. The lively volcanoes were so powerful we would not be able to perceive a thought of them erupting and spewing over 200,000 square miles. Volcanoes were able to put stress on ecosystems and ultimately could have possibly lead them to the final blow. Although scientists do not believe the dinosaurs extinction was solely because of the volcanos they can confirm that other species have been wiped out because of them in the past. The true discussion between scientists on whether this was a major impact on the dinosaurs or not was ‘when did the eruptions begin’ and ‘how long did they go on for’. In December of 2013 a team consisted of MIT and Princeton researchers made an expedition to the Deccan Traps, east of Mumbai. For two weeks they looked for data consisting of minerals that form shortly after an eruption. They also had to choose minerals that could be very precisely defined to tell the age of them. The researchers collected more than 50 samples from the region and they had found that some from the bottom and top contained zircon, which allowed the team to determine the timing of the Deccan Traps eruptions from start to finish. 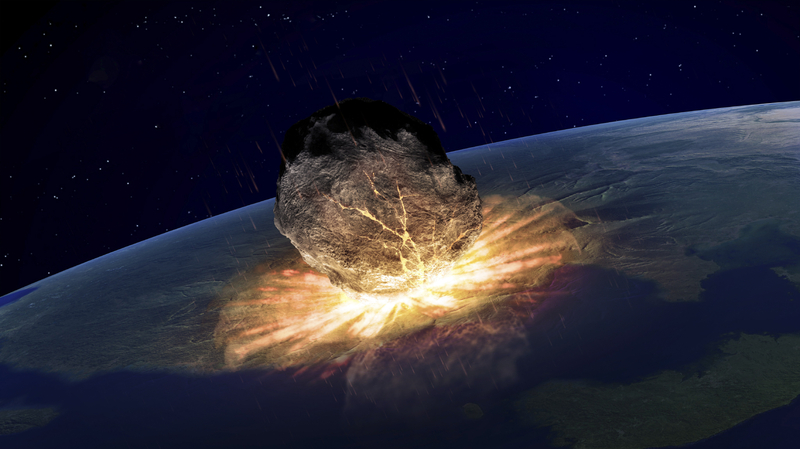 Between the two schools they analyzed the rocks, the analysis was this: the region started erupting 250,000 years before the asteroid strike, and continued for another 500,000 years after the impact. Now where they have to go with the study says one of the researchers is that they have to figure out how long the splits are of magma or was it one continuous flow. Another researcher also added in that they are getting better at dating mass extinctions but they have not taken a foot in the direction of solving what caused them. Scientists also still dig into the Climate Theory- That being the gaseous volcanic plume might have initiated a global climate change that threatened the dinosaurs. The conclusion is this, there is evidence that an asteroid played a roll in the extinction as well as the volcanoes however there is no true concrete answer yet. Science is all about challenging others ideas and with this topic it really comes into play. The more data and evidence that pops up the closer we will get to understand what happened. For now scientists will have to have an open mind, think creatively, and never let any theory be set in stone. This post was very interesting. As a child, I always was very interested in dinosaurs, and I vividly remember believing that it was a massive asteroid that killed all of the dinosaurs. That would be unimaginable if the volcano had a steady flow for that long, and that could definitely contribute to wiping out anything within a large radius of it. My personal theory that I agree with is a drastic climate change had occurred. Climate change is global and effects all organisms, while an asteroid/volcano only effects one area. I really liked this article because this is a question I constantly think about when the topic of dinosaurs is brought up. There are so many theories as to why they went extinct with the same amount of proof for each one it seems. It’d be so nice to know for sure how it all happened, but for now I guess it’ll remain a mystery. I like how this topic relates to the lecture we had this past Thursday presented by Dean Cavanaugh. I feel like the most common and taught about way of extinction of dinosaurs is definitely via asteroid like you said. I wonder what your religious views are, as this could play a role in your dinosaur beliefs as well. I also agree with you that scientists need to keep an open mind and continue to seek new evidenced and data to make the asteroid theory more concrete.